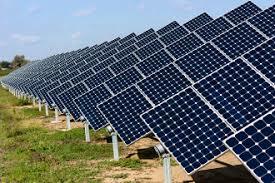 Solar energy can be used to generate electricity, to provide hot water, and to heat, cool, and light buildings. Minnesota is a great place for solar energy. Believe it or not, much of the Midwest has the same solar potential as Tallahassee, FL and Houston, TX! Through a combination of utility rebates and new technology, solar electricity continues to become more affordable and a more common part of our energy system. Interested in your own solar energy system? Wondering if a particular site in Minnesota is good for solar energy? The Minnesota Solar Suitability App can help. This tool displays the solar potential of every spot in the state of Minnesota. With this data, and the services provided through this application, home and business owners can easily identify the solar potential of their property. How can I find a solar business? Minnesota is home to many solar businesses. The Clean Energy Project Builder is a great place to find an assortment of clean energy businesses including solar installers, community solar garden developers, energy auditors and more. Wondering what questions to ask? Check out The State of Minnesota’s list of questions to ask potential renewable energy installers. How can I find a community solar garden? Community Solar Gardens are centrally-located solar photovoltaic (PV) systems that provide electricity to participating subscribers. Mountain Iron Utilities customers can participate in the SolarChoice community solar program offered by MIU. Members of other utilities in Minnesota can subscribe to a community solar garden if one is offered by their electric utility. Follow this link for great resources to learn more about if community solar is right for you. What is Mountain Iron doing around solar energy? Austin is participating in SolSmart, a national program that provides free technical assistance with addressing local barriers to solar energy. Through this program, Austin is working to make it easier for residents and businesses choose solar energy. Is Financing Available for Solar Energy Projects? 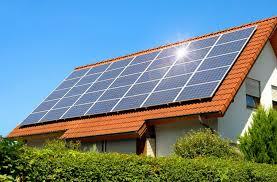 Residents interested in installing photovoltaic solar panels (the kind that produce electricity) on their property can access financing through the Center for Energy and Environment. Click here for more information. Businesses can finance solar energy projects through a tool called “Property-Assessed Clean Energy”, or PACE, in which energy-saving measures are paid for through property taxes. This can work well even for businesses that rent their space. More information on PACE financing is available here. Interested in Employment in the Clean Energy Sector? The MN Clean Energy Job Board is a tool that job seekers can use to find jobs in the energy efficiency and renewable energy fields, and that employers can use to post their latest openings.